1. Safety Service - NEPCA now offers safety seminars monthly during the months of January through May and September through December. They include the OSHA 10 Hour Construction Safety Health Course, Competent Person for Scaffolding, American Red Cross CPR/First Aid, etc...Our members are informed separately and through our NEWSLETTER of the programs we are scheduling. 2. Legal Services - NEPCA offers all members legal counsel for any labor relations issue between them and the unions with which NEPCA deals. 3. F.W. Dodge - Added to NEPCAs plan room is the joint venture with the F.W. Dodge Division since 1995. Their commitment to NEPCA is to help us obtain more plans and specs in a wider territory than what we offer now. So far this has been very successful. We also have available, to those that are interested, the Dodge Scan Machine. 4. Labor Relations - NEPCA provides a full range of labor relations services to all members. Organizations requiring up-to-date information on collective bargaining, apprenticeships, jurisdictional information, wages, building permits and zoning. National Labor Relations Board activities legislative monitoring and contract reference material will find a variety of accessible material at their local NEPCA office. 5. Labor Contracts - NEPCA furnishes members with loose-leaf binders containing copies of all the Collective Bargaining Agreements which NEPCA negotiates. 6. Public Relations - To further benefit our members, NEPCA maintains relations with all levels of public agencies and officials involved with construction. These agencies include contracting agencies, regulatory bodies and legislative representatives at the federal, state and local governmental levels. 7. Wage Agreements - The Construction Wage Agreement for the Wilkes-Barre/Scranton General Trades are made available at NEPCAs office. The NEPCA plan room is the largest in Northeastern Pennsylvania. Members may review plans and specifications dealing with commercial, industrial, institutional and federal projects such as the Department of General Services, Transportation Public Welfare and the Tobyhanna Army Depot. We handle approximately 2000 plans each year. Drawings are available for overnight and weekend use, and copiers of plans and blueprints can be made upon request. The plan room is open Monday-Friday from 8:00 a.m. until 4:00 p.m. Through our extensive array of printed materials, NEPCA members can easily keep informed of advances in the construction industry and its related field. Our weekly newsletter lists plans expected and on file, bid results and other miscellaneous NEPCA information. 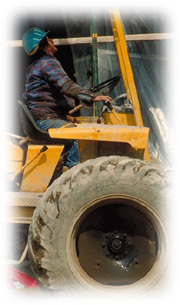 New bulletins are sent or faxed to the members regularly to keep them informed of industry development in areas such as markets, productivity, labor relations, force account activity, specification review results, liaison efforts with those impacting on the construction industry, safety, training, legislation, legal concerns, fringe benefits, insurance and taxes.